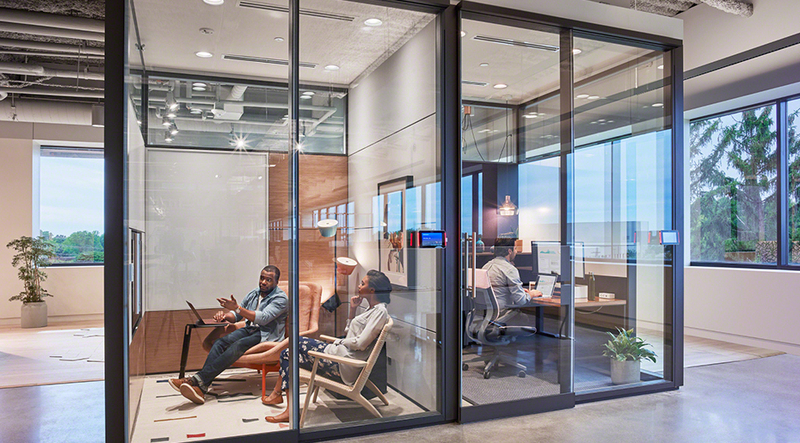 The new IT space in Steelcase’s Grand Rapids Global Business Center is the outward manifestation of a complex change. 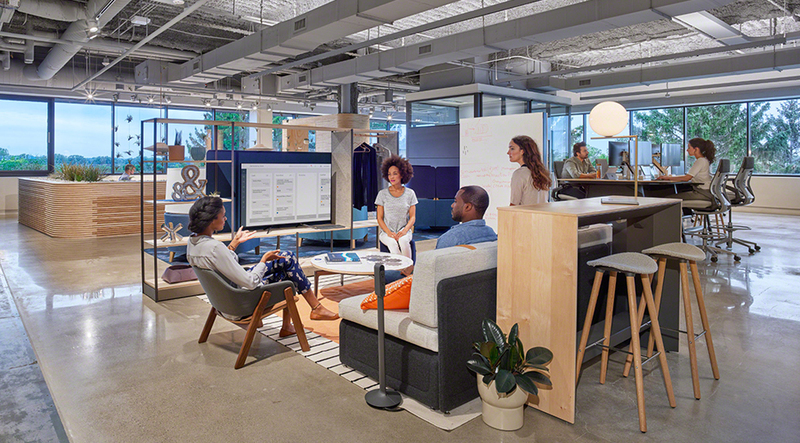 The space was designed to accommodate the adoption of an ‘agile mindset” amongst all IT employees, which translates to being more closely connected to customers, less siloed and sharing knowledge in broad ways organization-wide. 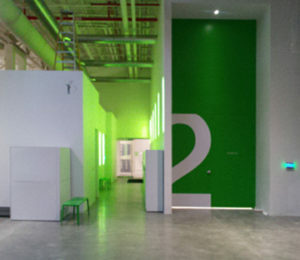 Our work began with the master plan for the floor. 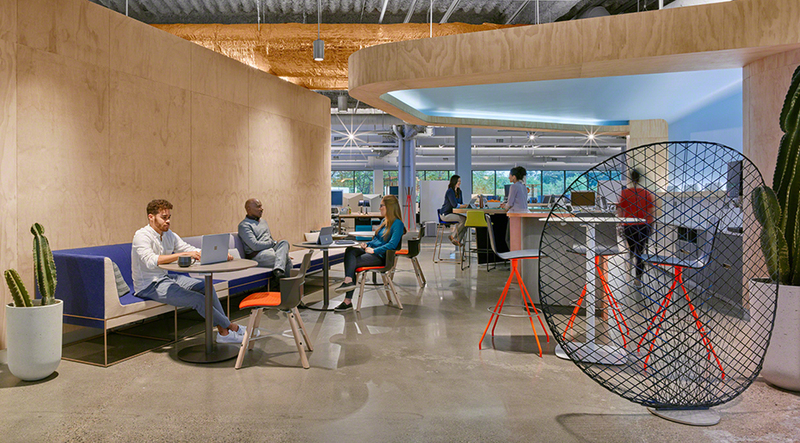 The master plan incorporated the space types the client’s team had identified – The Neighborhood, The Agile Studio, The Flex Camps, and the notion of Shared Space – and organizing the relationship between public and private space. 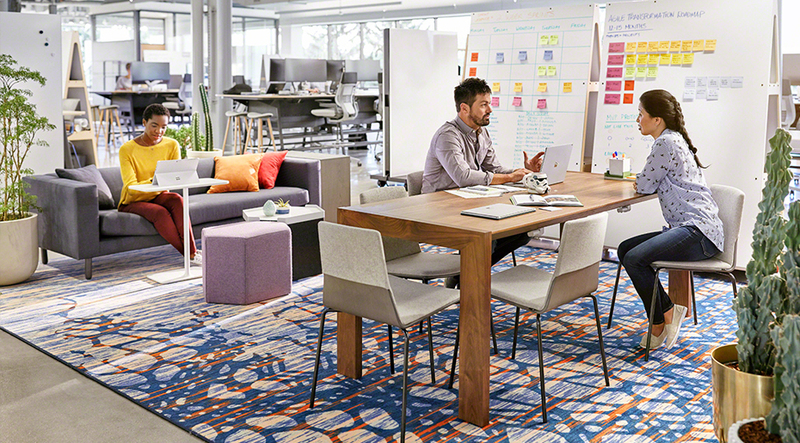 Based on that master plan, Steelcase created a prototype environment where users could test the plan. 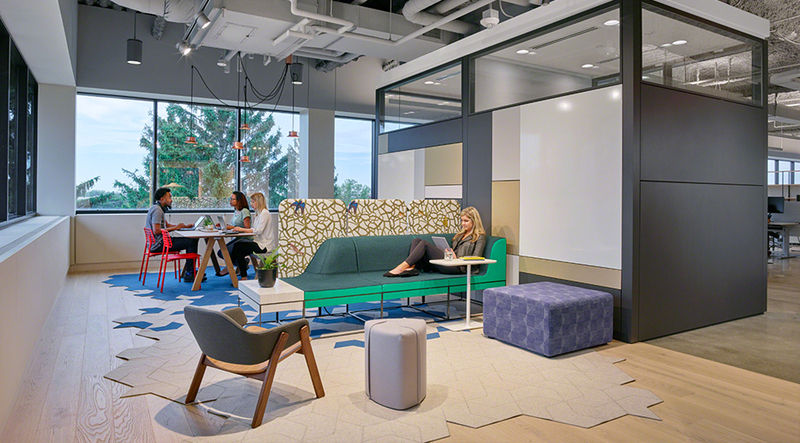 This was monitored for about 3 months and the learnings were incorporated into the furniture planning. 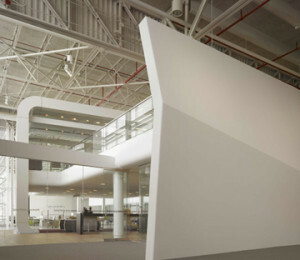 As the prototype environment was tested, our team began to define the architectural concept. 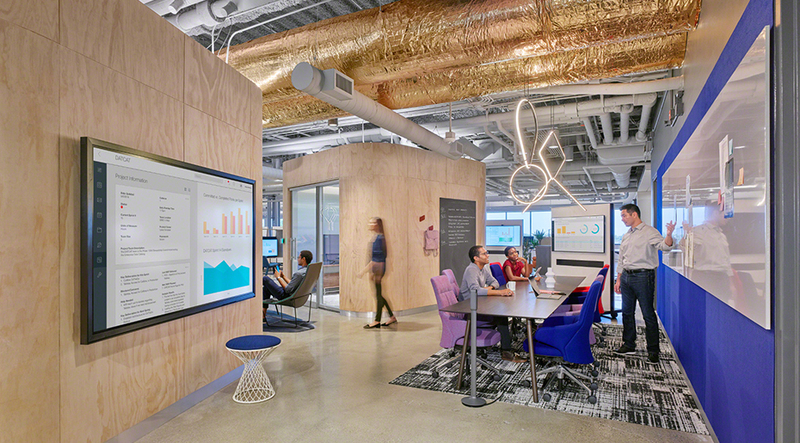 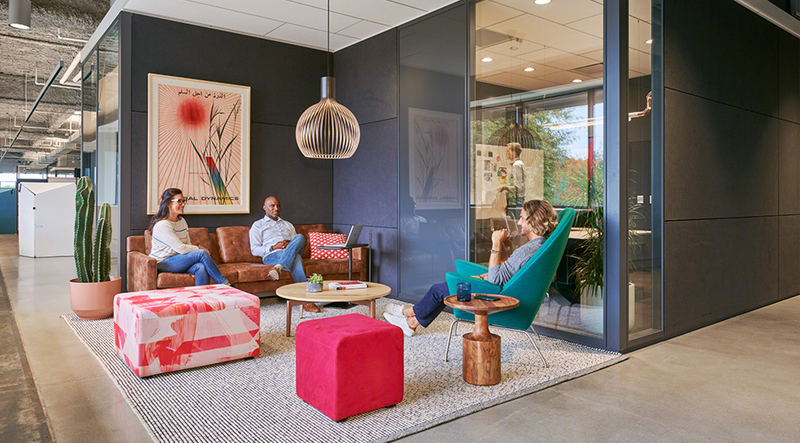 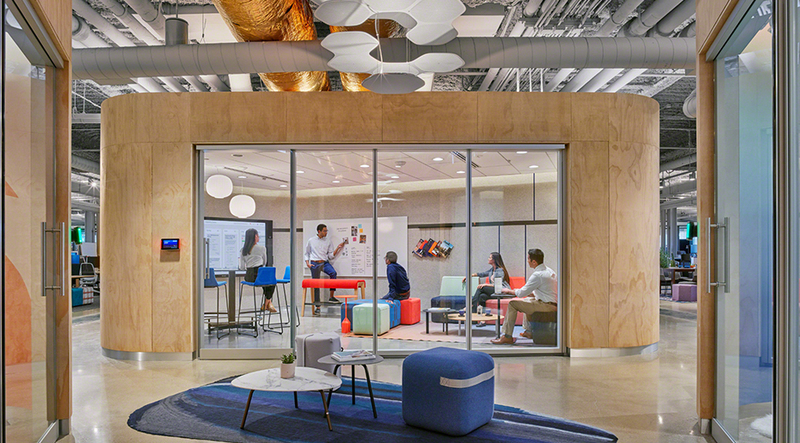 We worked with Steelcase’s Interior Design Lead to include their big ideas around brand manifestation/trajectory, biophilia, and ambient awareness. 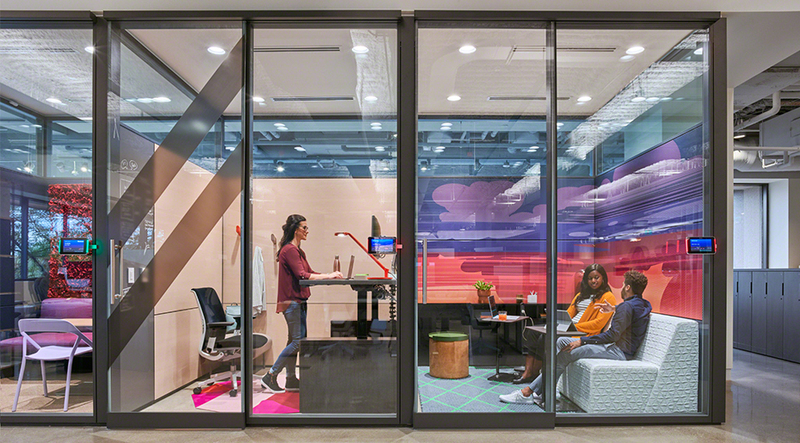 That thinking translated to the design directly, such as the floor having a mineral base (exposed ceiling and polished concrete floor) in juxtaposition to the highly refined wood elements expressed in the “Town Square” meeting pods and the “Garden” insertions. 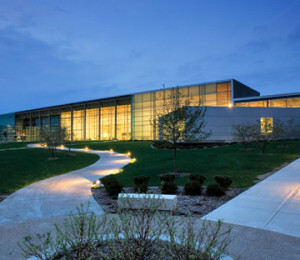 The “Business District” design is most reflective of the traditional business environment, which softens the experience for those business partners coming from other areas of the organization, providing a sense of familiarity as they take the first step into this new Agile-driven IT culture.